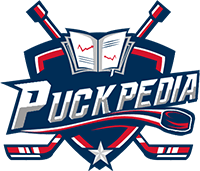 Updates: PuckPedia reserves the right to change, modify, add or remove portions of these Terms at anytime. Please check these terms and conditions periodically for changes. Your continued use of the Website following the posting of such changes to these terms will mean you accept those changes. By accessing the PuckPedia website, you consent to having this Agreement provided to you in electronic form and receiving communications from us electronically. We may communicate with you by postal mail, email or by posting notices on the Website. You agree that all agreements, notices, disclosures, and other communications we provide provide to you electronically satisfy any legal requirements that such communications in writing. 12. Attempt to gain unauthorized access to any PuckPedia Website Content, other accounts, computer systems or networks connected to any PuckPedia server or to any of the PuckPedia Applications, through hacking, cracking, distribution of counterfeit software, password mining or any other means. A. In order to access or use some features of our Website, you may have to register as a user. If you are under the age of thirteen, then you are not permitted to register as a user or otherwise submit personal information to this Website. B. If you decide to become a registered user, you will provide true, accurate and complete registration information and, if such information changes, you will promptly update the relevant registration information. During registration, you will create a user name and password (a Membership), which may permit you access to certain areas of the Website not available to non-registered users. You are responsible for safeguarding and maintaining the confidentiality of your Membership. You are solely responsible for the activity that occurs under your Membership, whether or not you have authorized the activity. You agree to notify us immediately at info@puckpedia.com of any breach of security or unauthorized use of your Membership. A. Public Forums We may now or in the future permit users to post, upload, transmit through, or otherwise make available on the Website (collectively, "submit") messages, text, illustrations, files, images, graphics, photos, comments, sounds, music, videos, information, content, and/or other materials ("User Content"). Subject to the rights and license you grant herein, you retain all right, title and interest in your User Content. We do not guarantee any confidentiality with respect to User Content even if it is not published on the Website. It is solely your responsibility to monitor and protect any intellectual property rights that you may have in your User Content, and we do not accept any responsibility for the same. 11. Use, develop or distribute “auto” software programs, “macro” software programs or other “cheat utility” software program or applications. E. By submitting User Content, you also grant us the right, but not the obligation to use your biographical information including, without limitation, your name and geographical location in connection with broadcast, print, online, or other use or publication of your User Content in connection with any use of your Posts. H. PuckPedia may be considering, contemplating or developing the same or a similar idea (and/or related products, services, concepts, systems or techniques) to one or more ideas (and/or products, services, concepts, systems and/or techniques) reflected in your Posts submitted on the PuckPedia Applications, whether before, at the time of or following your submission. Without limiting the foregoing license in any respect, you hereby waive any and all claims you may have had, may have currently, and/or may have in the future, that any ideas or materials accepted, reviewed and/or used by PuckPedia and its designees (and/or any related products, services, concepts, systems and/or techniques) in any way (i) may be similar to or unlawfully or otherwise improperly compete with your Posts or any of the Content thereof or (ii) violate any obligation of PuckPedia to you or any other person or entity that in any way is alleged to arise from or relate to your Posts or any of the Content thereof. The rights properly granted by you hereunder may not be terminated, revoked or rescinded and are not subject to reversion. If you become aware that you lack any right in User Content which you have posted or submitted to the Site, you will automatically grant us the irrevocable, unrestricted right to the material, without obligation or liability to either party. Upon discovery of this information, you agree to immediately provide us with detailed written notice thereof, addressed to: PuckPedia, LLC, Atten: Legal Team at 11601 Wilshire Blvd., Suite 515, Los Angeles, CA 90025 and takedownnotice@puckpedia.com. It is PuckPedia's policy to terminate relationships regarding content with third parties who repeatedly infringe the copyrights of others. B. In some instances, Website Content will include content posted by a third-party or will represent the opinions and judgments of a third-party. We do not endorse, or warrant and are not responsible for the accuracy, timeliness, completeness, or reliability of any opinion, advice, or statement made on the Website by anyone other than authorized employees or spokespersons while acting in their official capacities. YOU EXPRESSLY AGREE THAT USE OF THE WEBSITE IS AT YOUR SOLE RISK. THE WEBSITE AND WEBSITE CONTENT ARE PROVIDED ON AN "AS IS" AND "AS AVAILABLE" BASIS WITHOUT WARRANTY OF ANY KIND, EITHER EXPRESS OR IMPLIED. PUCKPEDIA, LLC DISCLAIMS ANY AND ALL WARRANTIES INCLUDING ANY: (1) WARRANTIES THAT THE WEBSITE WILL MEET YOUR REQUIREMENTS; (2) WARRANTIES CONCERNING THE AVAILABILITY, ACCURACY, SECURITY, USEFULNESS, TIMELINESS, OR INFORMATIONAL CONTENT OF THE WEBSITE OR WEBSITE CONTENT; (3) WARRANTIES OF TITLE, NON-INFRINGEMENT, MERCHANTABILITY, OR FITNESS FOR A PARTICULAR PURPOSE; (4) WARRANTIES FOR SERVICES OR GOODS RECEIVED THROUGH OR ADVERTISED ON OUR WEBSITE OR ACCESSED THROUGH THE WEBSITE; (5) WARRANTIES CONCERNING THE ACCURACY OR RELIABILITY OF THE RESULTS THAT MAY BE OBTAINED FROM THE USE OF THE WEBSITE; (6) WARRANTIES THAT YOUR USE OF THE WEBSITE WILL BE SECURE OR UNINTERRUPTED; AND (7) WARRANTIES THAT ERRORS IN THE SOFTWARE WILL BE CORRECTED. B. NOTWITHSTANDING ANYTHING TO THE CONTRARY CONTAINED HEREIN, IN NO EVENT SHALL THE CUMULATIVE LIABILITY OF PUCKPEDIA, LLC AND ITS EMPLOYEES, AGENTS, DISTRIBUTION PARTNERS, AFFILIATES, SUBSIDIARIES AND THEIR RELATED COMPANIES EXCEED THE GREATER OF THE TOTAL PAYMENTS PUCKPEDIA, LLC HAS RECEIVED FROM YOU DURING THE PRECEDING TWELVE (12) MONTH PERIOD OR $100. C. In some jurisdictions limitations of liability are not permitted. In such jurisdictions, some of the foregoing limitations may not apply to you. However, to the extent that these limitations are permitted, they shall be enforced to the fullest extent permitted by law. B. If you become a registered user, you may terminate your Membership at any time by sending an e-mail to info@puckpedia.com.